Since the 80’s, American eyewear manufacturers were all bought by foreign interests, stopping the domestic production in the process. Since then, most american eyewear brands sell products that are made overseas. Two years ago, an architect, Brian Vallario and his friend Gerard Masci, a finance worker, decided that the time has come to bring back something that was long gone in the American eyewear industry: the Made in USA label. Brian Vallario and Gerard Masci started Lowercase. From the beginning, automation offered low production costs while guaranteeing high quality frames. Suddenly, the main challenges of the 80’s have become the opportunities of today. The company’s vision was to have full control on the product and deliver high-end quality, even with an as small a production as theirs. To bring its eyewear to life, Lowercase imports the material in sheets. 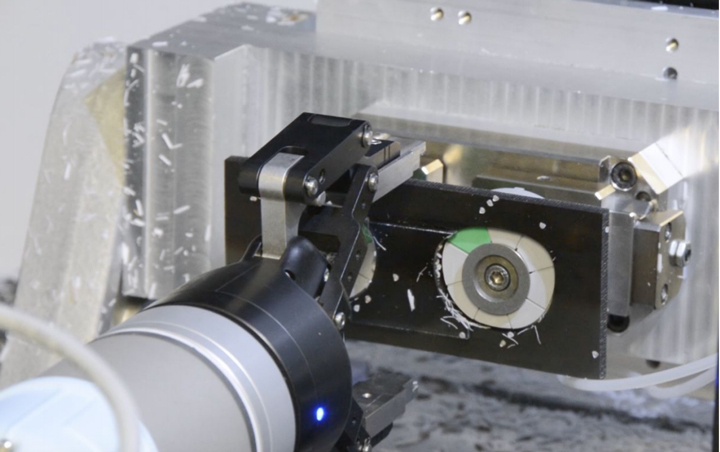 It is cut down into small tablets and the frames are then cut in the CNC machine, which is tended by the UR5 and the Robotiq Gripper. The robot picks up the raw material, loads it into the first position, closes the door, presses the go button and then does it all again for the second position. It then removes the finished pair of glasses and puts it in a bucket. 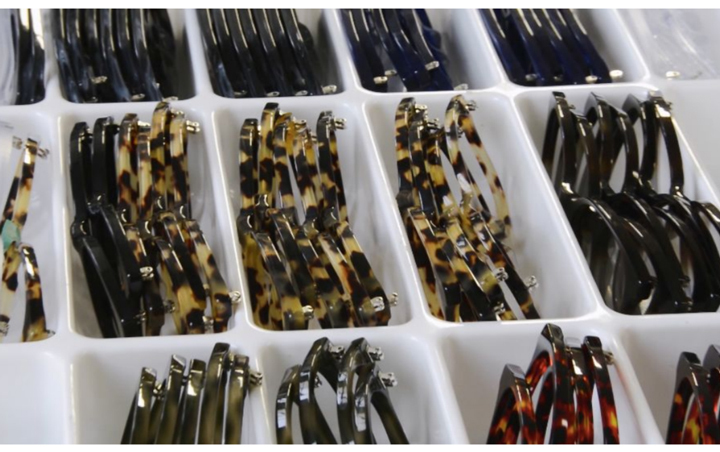 The eyewear then goes through many steps of fine-tuning before being ready to ship. Without seeing life through a pair of pink glasses, Brian Vallario and Gerard Masci definitely see great things coming for Lowercase. 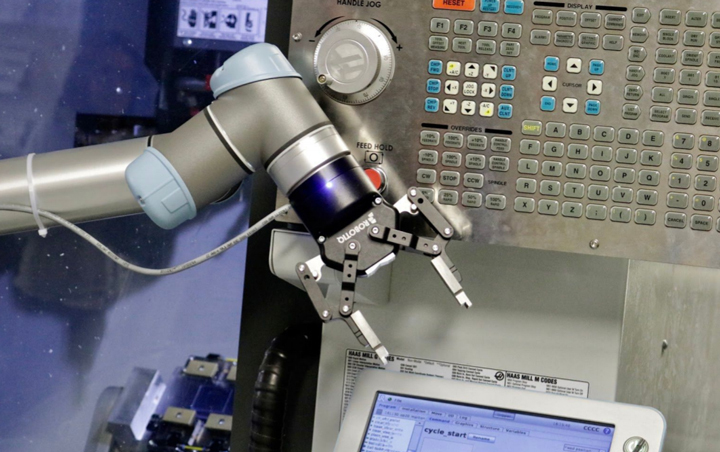 Automation is an important part of many of their future projects, not only regarding the addition of new robots in the factory, but also to raise hirings.